I have to confess that while I have a lot of my gifts bought/made, but certainly not wrapped, I have yet to do a single bit of decorating. 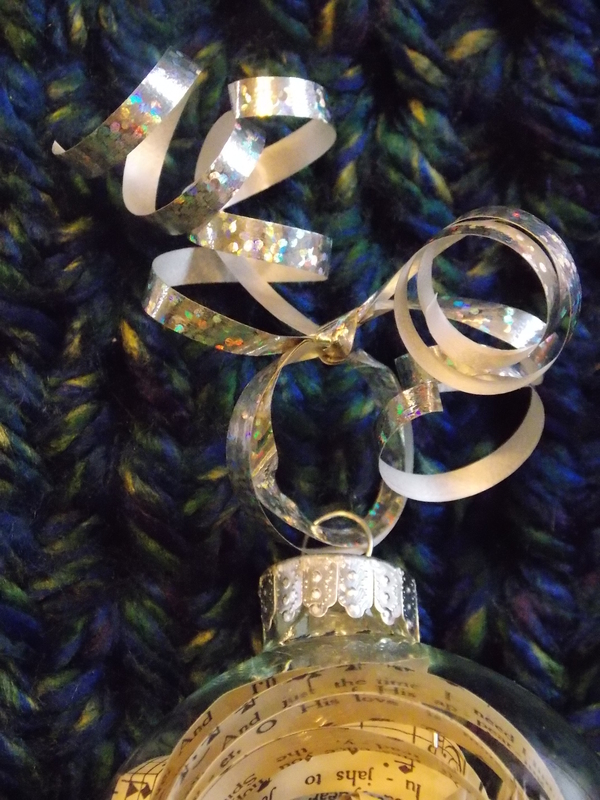 Today’s idea can be a great little gift or used to deck your own halls. The best part is that since they are SO simple to make, you can easily whip up a bunch of these in one sitting. 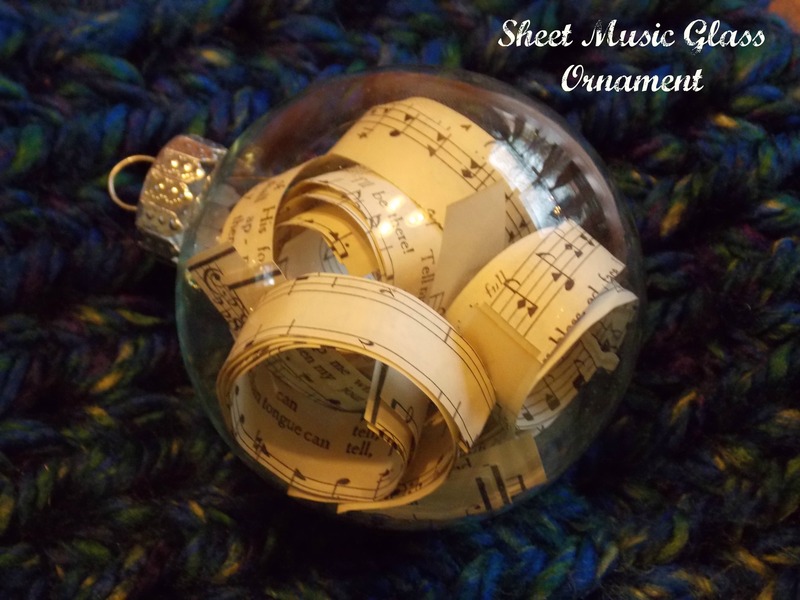 All you need is a clear glass ornament (one where the top pops off), some old sheet music or book pages, a bamboo skewer, a clothespin or clip, and some curling ribbon. Regretfully I didn’t take any photos while making these, so hopefully I can just explain how I made them with words. First you take off the metal top portion of the ornament. 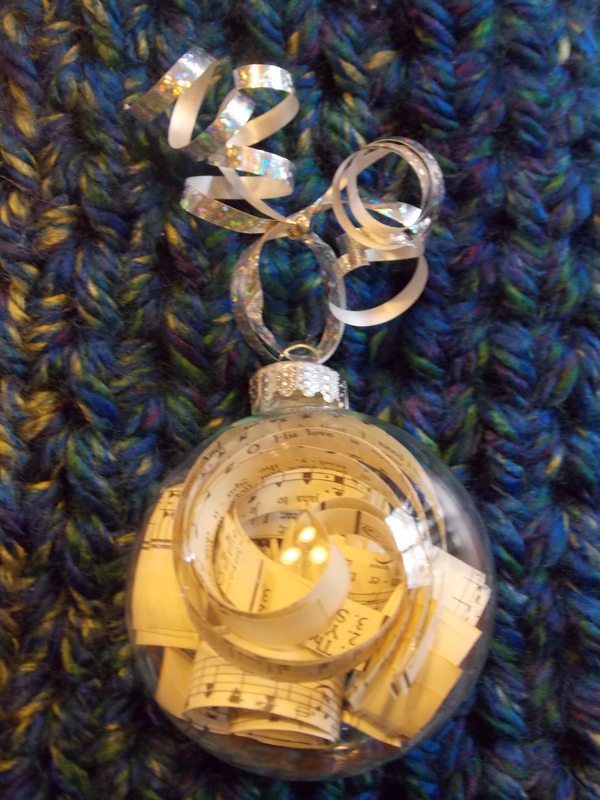 Second, cut your music or book pages into thin strips, maybe 1/4-1/2″ wide and a few inches long. Using a bamboo skewer, wrap a few of these strips at a time tightly around the skewer. Hold these in place for a few minutes using a clothespin or clip. After waiting a few minutes, remove the clip and slide the end of the skewer into the top of the ornament. 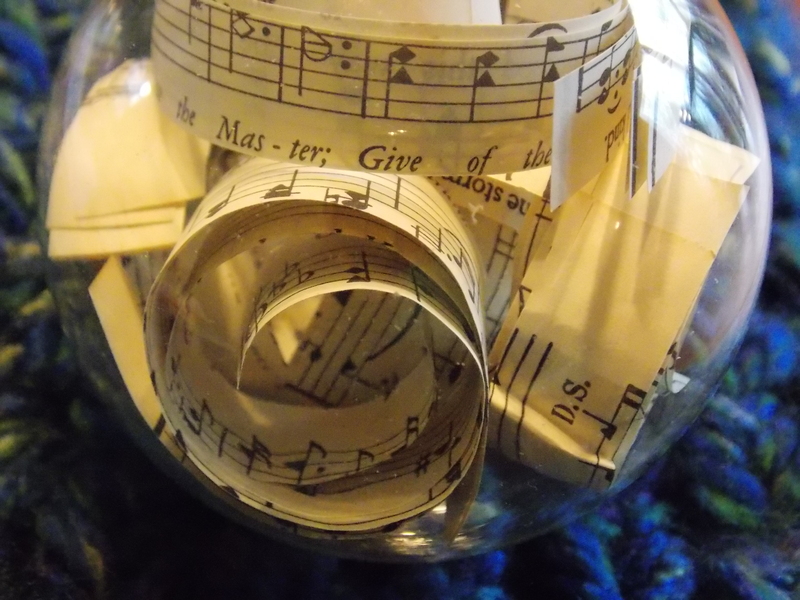 Slip the curled strips of paper off into the ball. Fill it as full as you want, put the top back on, and finish it off with a nice little hanger of metallic curling ribbon. Easy, elegant, and perfect for the holidays.